DESCRIPTION Incredible 1 bedroom, 1-bathroom apartment condo unit in show home condition. Well managed building and is pet friendly. Contemporary design with a very bright and open plan. High end finishing’s with south balcony with gas hook up. Gourmet kitchen with quartz countertops with breakfast eating bar, designer tiled backsplash and stainless-steel appliances, open to large great room and eating area. Large bedroom with closet, 4-piece main bathroom, in-suite laundry, wide plank laminate flooring with in floor heat. Secured underground heated parking and storage locker. Newer building just off trendy 17 Avenue with shops, restaurants & cafe’s. Quiet location minutes to downtown. Exceptional Value for first time buyer or professional! 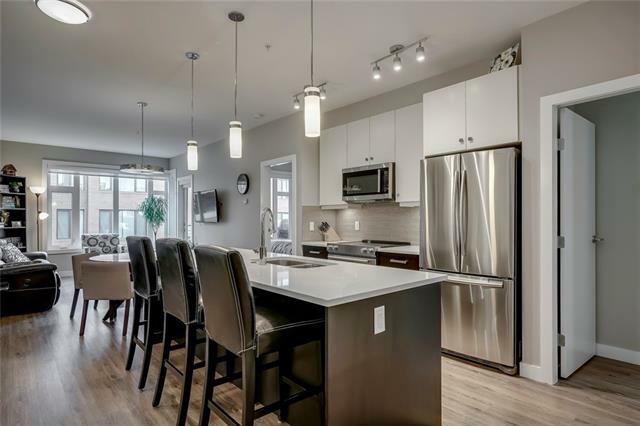 Home for sale at #302 1720 10 ST Sw Calgary, Alberts T2T 3E8. 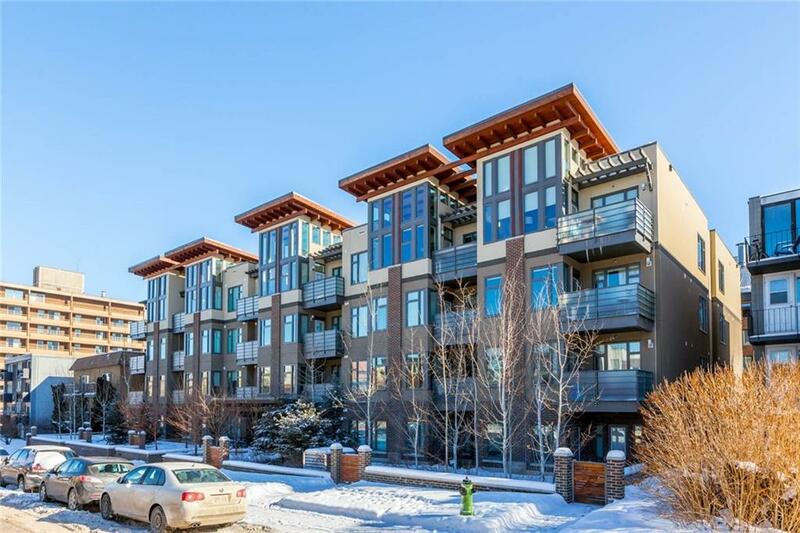 Description: The home at #302 1720 10 ST Sw Calgary, Alberta T2T 3E8 with the MLS® Number C4228228 is currently listed at $269,900.